Piper Cars had first started in the sports car market building an open topped car in 1963 and then moving onto the more refined GT types that could also be raced. The later cars tended to be based on Ford running gear and the GTT model sold in respectable numbers. In 1969 they went as far as to enter two Group 6 Oldsmobile-powered GTRs at Le Mans, only one arrived and that had to be withdrawn due to various problems. The introduction of VAT made the kit-car market no longer economic and they briefly tried building a complete "turnkey" car but the recession of the early 1970s saw the company end up in receivership. The monocoque chassis of the Piper. Announced in mid-1966 the Piper was the work of designer Tony Hilder and was intended as a multi-formulae machine, it was built at the Piper Cars base, Campbell's Garage in Hayes, Kent. Also involved in the project were engine man Bob Gayler, Ken Packham (chassis development) and the owner of Campbell's George Henrup. The chassis was a monocoque but unusually it was constructed of mallite aluminium and balsa wood. Mallite was a sandwich of aluminium/wood/aluminium and was used on the 1966 F1 McLaren M2A. The tub was strengthened by four cast magnesium bulkheads. Front suspension was wide-based lower wishbones with upper links and radius rods attaching to the dash hoop. 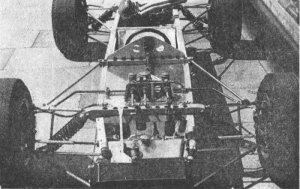 At the rear it was reversed lower wishbones with top links and twin radius rods. There was some anti-dive built into the front and Armstrong spring/damper units were fitted front and rear. Girling alloy brake calipers were used with the discs outboard at both ends of the car. 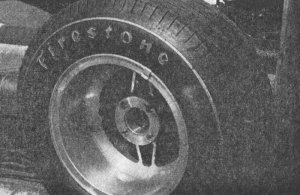 The 8" front and 10" rear wheels fitted to the prototype were cast in magnesium and designed to have a turbofan cooling effect on the brakes. The engine bay was constructed to take a variety of engines and it was said that the car was so light that in F3 guise ballast would be required. The car in the picture was fitted with a 1650cc Ford engine and there is no record of any F3 cars actually having been built.